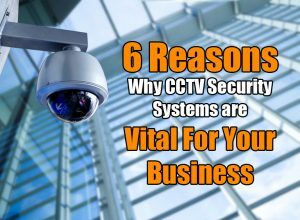 Why are CCTV systems important for your business? Integrated CCTV systems have become an essential part of every functioning business today. It is no longer enough to have a simple Intruder Alarm fitted to your building. An integrated CCTV system enables you to monitor who has access to your business and what they do when they are there. But with businesses looking closely at their outgoing expenditure, we need to ask the questions is it worth the investment? So why is CCTV important for business today? CCTV systems are the perfect deterrent against criminal activity. A burglar is much less likely to break into a premise where they are going to be caught on camera. This is especially important for small businesses which can be seen as the easiest targets, even for theft during the day in high crime areas. A reputable security service provider will also ensure that the installation of the cameras are positioned so all black spots are covered as well as vulnerable areas of the business, giving 100% fool proof coverage at all times. Although visible CCTV cameras can act as a deterrent for most burglars, you only have to search for ‘burglar caught on CCTV’ in Google to find plenty of real life footage of thieves who have decided to take that risk anyway. Every business, big or small, has vulnerable areas like high security storage spaces where sensitive data is stored, or simply cash registers for obvious reasons. CCTV surveillance systems enable you to ensure that these high risk areas are always protected while also providing you with invaluable evidence in the event that something does go wrong. A golden moment for CCTV was during the London riots of 2011 where police viewed over 200,000 hours of footage to go on to find over 5000 offenders. Offenders that may have not been prosecuted if it was not for CCTV. Safeguarding your employees is as important to our businesses as looking after the security of the business itself. CCTV encourages good behaviour, and if people believe they are protected and safe they will perform better. Having said that a recent report by the Global Retail Theft Barometer has highlighted a 7% increase in employee theft in the past year, with figures now accounting to a staggering 2 billion pounds in the UK alone. Even if the unthinkable does happen, the recorded CCTV footage will not only provide you with the evidence you need but can help prevent wrong accusation and lack of trust among all employees. We are constantly looking for ways to make us more efficient and with technology continuing to advance at an exponential rate, businesses are looking at what more their business security systems can offer. The introduction of the ‘Internet of Things’ means that we can already control our heating at home whilst sitting at our desk at work, instruct the coffee machine in the kitchen to make a coffee whilst we are still in bed and check to see what is in our fridge whilst we are out shopping. An attractive feature for businesses looking to invest in security systems today is the ability to access our security systems in real time remotely – we really can be in two places at once! A realible, fully integrated and professionally fitted CCTV system is a sound investment for any business. Modern security cameras and CCTV systems allow businesses to lower cost and risk by protecting their assets with continuous and seamless monitoring of their facilities. https://www.gmesecurity.ie/wp-content/uploads/2017/06/GME.LOGO_.white_.png 0 0 Gavin Malone https://www.gmesecurity.ie/wp-content/uploads/2017/06/GME.LOGO_.white_.png Gavin Malone2017-07-28 19:24:382017-07-28 19:24:38Why are CCTV systems important for your business? As a business owner, your mind can only be put fully at ease when you are certain that your business assets are secure from potential thefts. Whatever the size of the business, whether it is small or large, retail or commercial, it is guaranteed to have a range of valuable assets like computer systems, data and other expensive items that are at risk of theft. According to statistics, the cost of retail theft in the UK rose to £613 million in 2015, which is three times higher of that in 2008. But it’s not just a potential break-in or burglar that is your enemy in a situation like this, it could also be your customers, employees and even your management that are remotely going behind your back. In that case, it is best to consider a security system if you don’t have one installed already. Whilst larger businesses tend to spend around 50 times more than smaller businesses do on security, small businesses should be just as prepared to protect their assets too. Because at the end of the day nobody wants to be dealing with stolen goods and dramatic insurance claims. Here are a few things to take into consideration when installing a security system for a business. What are your needs for the Security systems? Before thinking about anything else, you need to discover what your needs are for the security system and what you want to achieve from your installation. Is it that you want to keep an eye on your employees to ensure they’re not stealing? Do you want to prevent intruders from entering? Or do you want to protect customers and employees for safety purposes? It is important to sit down and document your needs for the systems, even if it means bringing security experts in to help you. Once you have set your goals, you’ll begin to have an idea of what the appropriate security systems are for your company and what types of security systems you are going to install. CCTV Surveillance Systems are very beneficial for all businesses, whether you run an office or own a small convenience store. I suppose you’re probably asking yourself, aren’t they expensive? Well technically yes, CCTV systems are a lot to install, but can help you save money on insurance and can also prevent a burglar or even a member of staff from stealing company goods or data. In fact, it is said that property which is monitored by CCTV surveillance is 300 times less likely to experience a break-in or theft. There are things to consider when installing a CCTV system alone. If you would rather have a CCTV system which is out in the open rather than discrete, then the system will act as a deterrent to scare off potential burglars who wouldn’t go ahead with an act if they knew they were being watched. CCTV cameras which are out in the open are also a great way to increase your employees efficiency and productivity because their behaviour will change if they realise they’re being monitored at work. The type of lens for your CCTV system is something to consider when installing one. The distance you want your camera to cover at a time can help you discover if you want a lens with great quality and distance to help you discover an intruder’s face. You should also consider how large of an area you wish to capture and you can do this by drawing a blueprint of the area floor to determine the section you want to cover. This will then give you an idea of the appropriate CCTV camera for you. Another type of security system which you could install in your business is an access control system. An access control system would enable your business to control access to certain areas in the building. If your business stores a lot of valuables which are left unmonitored when the office is shut, then an access control system would be seen as a necessity to prevent theft. An access control system can work by either a keypad, key card or even a fingerprint. If you have a small business then several key cards could be an idea, however if you have a larger business, than a fingerprint control system would be more convenient because all members of staff can obtain their own fingerprint access to the building or office. Another thing to take into consideration is the fact that keycards can be cloned or could get lost or stolen, whereas you can’t clone a fingerprint. Not only does this system prevent theft, but it can also help improve health and safety as intruders are denied access to entering the building, which as a whole keeps employees especially safe and secure in their place of work. Similarly, to prevent potential break-ins from occurring you may choose to install an intruder alarm system as well as access control systems. This alarm system will work alongside the access control system and will send a signal to your telephone or a control centre as soon as the alarm has been triggered. If you are keen on having a reliable source to make you immediately aware of any break-ins, then an intruder alarm system is also a necessity for your business to have. At the end of the day, you want to keep your data, softwares and other assets as secure as possible. In addition to the other types of security systems, another extremely important security device which a business should install is fire safety equipment. This one piece of equipment is an absolute must, simply to ensure health and safety of employees. If your business doesn’t already have fire safety equipment installed, then you should really re-evaluate your overall security. If your business has a lot of fire hazards, then installing fire alarms and other fire prevention systems can instantly help you to eliminate the chance of a huge fire breakout. How do these Security systems integrate together? The whole point of you installing a security system in your business would ultimately be to protect your employees and customers as well as your company’s assets. Although installing one type of security system can hugely benefit your business, installing the whole range of security systems can secure your business to the max. Each system works in tandem with one another to provide your business with guaranteed safety and security. This is one of the ultimate things you need to consider when thinking about installing security for your business. Do you just want to keep an eye on activity with CCTV cameras? Or do you want the correct intruder restriction system alongside the alarm system to completely narrow down the possibility of a potential burglar even getting into your workplace? On top of that, do you want to have the correct fire safety so that these burglar-driven-items neither get stolen nor burnt out? Are the security systems legal? One final thing to look out for when installing the most appropriate security system for your business is if the security company is legally licensed in your state. The last thing you want to do is purchase a security system for your business that is a legal issue. How to Select the Correct CCTV Camera to Use? There are literally thousands of camera models from hundreds of approved manufacturers available in the market, and this makes the selection of the most appropriate CCTV camera to use a very confusing issue. In this article, I will try to explain very simply the different parameters you need to look into when selecting a CCTV camera for your project, as well as the required knowledge to determine if what you are being offered really matches what you expect or not. Please note that I will be discussing IP Cameras here and not analog. As explained in my previous article “Analog CCTV vs IP Cameras – What’s the Correct Choice?” – analog CCTV is not recommended anymore. Outdoor/Indoor: One of the parameters that can be easily filtered by available choices is whether the camera is for indoor or outdoor use. While it is essential to use an “outdoor” type camera for outdoor installations to provide IP65/IP66 weather protection, “indoor” cameras are less bulky and more cost effective for indoor installations. Fixed vs PTZ: PTZ (Pan-Tilt-Zoom) cameras as the name suggests give the possibility to user to turn the camera view to any needed direction and to zoom on specific areas. They can be also pre-programmed to automatically scan specific routes. On the other hand, fixed cameras provide constant uninterrupted monitoring of a specific, fixed area like entrances and exits or perimeters. Type of Lens: the type of lens determines the angle width and the distance that each camera can cover. As a rule of thumb, the wider the coverage angle is, the less distance is covered by the camera. Using a vari-focal lens enables you to adjust these two parameters of the camera in practice. There are also 180 degrees or 360 degrees fisheye cameras that are used indoors for providing a wider coverage. Image Resolution: in IP cameras, this is determined by number of pixels (color dots) that each camera image consists of. The higher the image resolution, the more image details is captured and provided by the camera. At the same time, more storage capacity would be required for recording. The current common resolutions these days start from 720p HD (1280 x 720 pixels) and go up to 5MP (5 Megapixel or 2592 x 1944 pixels). Night Vision / IR: If you require capturing video in darkness, then you should look for cameras with day/night and IR (infrared) lighting configurations. IR cameras use infrared LEDs that are lit automatically when dark and enable the camera to capture black & white video in complete darkness. The coverage of cameras in the darkness is determined by the power of their IR light which is a parameter you should look into when selecting such cameras. Vulnerability: Apart from indoor/outdoor type of cameras, you might also want to select “vandal-resistant” cameras that come with very-hard-to-break glass covers to protect the camera against vandalism. There are also Explosion-proof cameras that are extremely expensive and protect the camera against explosions. Other features: In addition to above main parameters, new IP cameras also come with a constantly-expanding list of new features and enhancements – these include video analytic and enhancement features, web interface for direct view and remote monitoring and control, automatic alert notifications via email and SMS, and even internal NVR for recording of videos. So these are also the parameters you might want to check into. Please note while I’ve tried to focus only on the key factors, it is also important to emphasize that designing a professional CCTV solution still requires a high level of expertise and experience and it is always worth it to have a professional company involved in designing the proper CCTV solution tailored for your needs. https://www.gmesecurity.ie/wp-content/uploads/2017/06/GME.LOGO_.white_.png 0 0 Gavin Malone https://www.gmesecurity.ie/wp-content/uploads/2017/06/GME.LOGO_.white_.png Gavin Malone2017-07-28 19:19:272017-07-28 19:19:27How to Select the Correct CCTV Camera to Use? Do we pay the price of keeping our facilities safe and secure? Do we have a good ROI when we spend our hard earned cash on CCTV monitoring of our facilities? How crucial is it to have our premises covered by a well-designed professionally installed security system? One of the most cost effective ways to provide security in the workplace is with CCTV Security or Video Surveillance Systems. The highly advanced technology of modern security cameras allow businesses to lower cost and risk by protecting their assets with continuous and seamless monitoring of their facilities. These relatively inexpensive cameras have in the most part replaced expensive security guards while increasing the reliability and accountability to near 100% by providing real time remote video surveillance. CCTV security systems prove themselves as the best investment as soon as they are installed. Full view of your premises and real-time recording as well as remote online access by owner/manager lowers the risk and prevents costly incidents such as burglary, fire, vandalism, etc. Criminals target buildings and facilities when they see there is no monitoring or watchdog. The very presence of CCTV cameras on an installation is enough to deter potential criminals and prevent their action at the outset. Similarly, by the sight of a safety hazard, employees can take the necessary action to reduce the risk and alleviate the source in the shortest possible times. 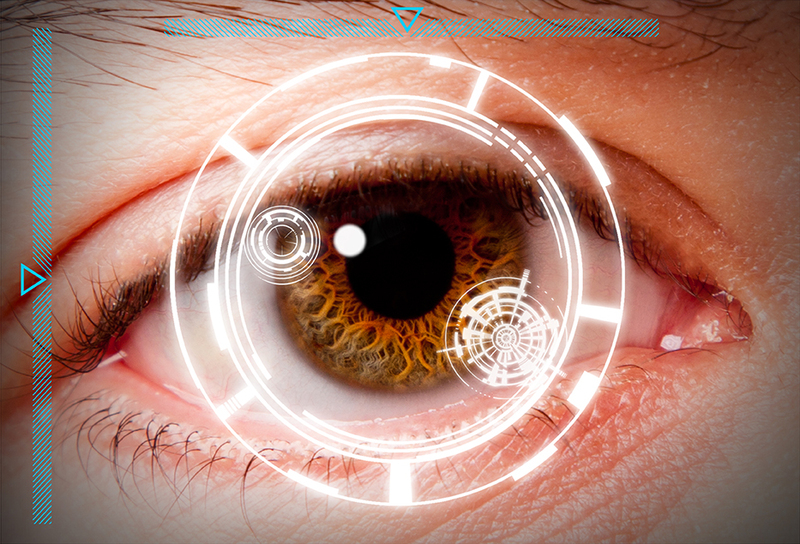 A well-designed CCTV infrastructure is practically impenetrable and can provide 100% coverage. Multiple cameras keeping an eye on each other’s blind spots in addition to keeping an eye on the most vulnerable areas of the property, full monitoring is not hampered by human errors such as the guard being on shut-eye or being busy with something else. Remote online access as well as recording of the events documents everything should it be needed by the police or judge. CCTV cameras on the outside prevent break-ins by outsiders, but if installed inside the facility to monitor sensitive materiel, goods, and assets, as well as vulnerable areas of a facility, it will prevent wrong doing by company employees. Even if something happens, the recorded video will prevent wrong accusation and lack of trust among all staff. CCTV cameras help in creating discipline among employees and customers alike. CCTV cameras encourage employees and buyers to be on their best behavior alike. It also gives customers a sense of security and safety as they know they are protected and gives them confidence in doing business with you. CCTV cameras can be installed in high-risk areas of a business facility or establishment. These high-risk and accident-prone areas include locations where fires can break out as well as locations where a potential danger to the building and personnel exist. Properly selected cameras can prevent potential damage because emergency measures can be taken immediately with careful monitoring. CCTV recording of the scene of the crime, allow law enforcement agencies to use the footage and release photos and videos of the culprits to the public. A picture or a video record of the suspect can make a huge difference when it comes to making an arrest and getting dangerous criminals off the street. So there you have it! We hope that we have enlightened you on the importance of CCTV Security Systems for your business.